New to this multifaceted discipline? Not sure where to being? 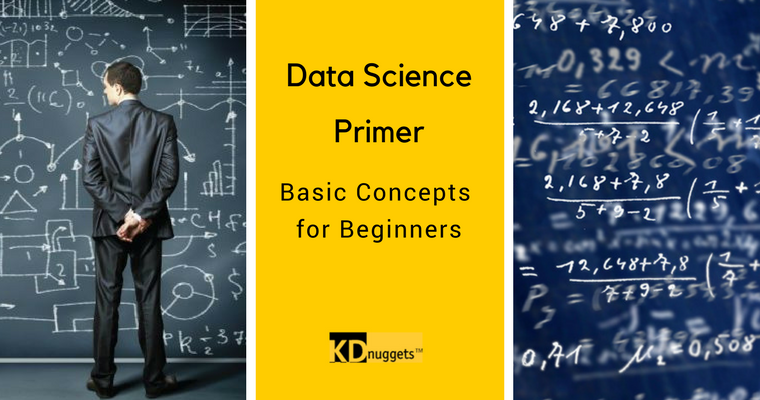 This is a collection of short, not-too-technical overviews of particular topics of interest to data science newcomers, from basics like supervised vs. unsupervised learning to the importance of power law distributions and cognitive biases. When I was first exposed to data mining and machine learning, I'll admit it: I thought it was magic. Make significant predictions with accuracy? Sorcery! Curiosity, however, quickly leads you to discover that everything is above board, and sound scientific and statistical methods bear the responsibility. But this ends up leading to more questions in the short term. Machine learning. Data mining. Statistics. Data science. The concepts and terminology are overlapping and seemingly repetitive at times. While there are numerous attempts at clarifying much of this (permanently unsettled) uncertainty, this post will tackle the relationship between data mining and statistics. Data mining functionality can be broken down into 4 main "problems," namely: classification and regression (together: predictive analysis); cluster analysis; frequent pattern mining; and outlier analysis. There are all sorts of other ways you could break down data mining functionality as well, I suppose, e.g. focusing on algorithms, starting with supervised versus unsupervised learning, etc. However, this is a reasonable and accepted approach to identifying what data mining is able to accomplish, and as such these problems are each covered below, with a focus on what can be solved with each "problem." Also known as scaling laws, power laws essentially imply that a small number of occurrences of some phenomena are frequent, or very common, while a large number of of occurrences of the same phenomena are infrequent, or very rare; the exact relationship between these relative frequencies differ between power law distributions. Some of the wide array of naturally occurring and man made phenomena which power laws are able to describe include income disparities, word frequencies of a given language, city sizes, website sizes, magnitudes of earthquakes, book sales rankings, and surname popularity.